We made every effort to ensure that this review was accurate and fair, but we’re only human. If you think we’ve got something wrong, or that the review does not reflect your own experiences with the product, we’d love to hear from you. Leave a comment below, send us an service@ top5-vpn.com, or write your own review in the Customer Reviews section. TunnelBear is a VPN service provider founded in 2011 in Canada. While it hasn’t been around quite as long as some of other popular VPN providers, it is growing in popularity thanks to its simplicity, compatibility with multiple devices, and effectiveness. With 20 countries available to users to connect to, and high-level encryption, TunnelBear allows users to access location-restricted content while ensuring the privacy of their own personal information and IP address. TunnelBear has three different packages: “Little”, “Giant”, and “Grizzly”. “Little” is the free package, which provides users with 500MB of free data every month. Users that tweet about TunnelBear on Twitter get 1GB free data. “Giant” and “Grizzly” are both premium packages that offer unlimited data and only differ in the pricing model – one requires a more expensive monthly payment, while the other one is more affordable and renewed annually. “Giant” is the monthly package, and it costs $9.99. The annual package, “Grizzly”, is $49.88 a year which amounts to only $4.16 a month, so if you know you’ll be using a VPN long-term, the annual package is recommended. TunnelBear is relatively simple compared to other VPNs and offers minimal but very effective and useful features, outlined below. To ensure users’ safety, this kill switch feature automatically blocks all unsecured traffic if the VPN’s connection is disrupted. The block is removed once the connection is restored, and the user can browse safely. This feature allows you to simply connect to the tunnel that is closest to you. This is a great feature if you just want to ensure your privacy and don’t really care what country you are connected to. The closest tunnel feature also ensures faster speeds. If you use a VPN for privacy reasons, enabling this feature will launch TunnelBear automatically when you turn your computer on. If you restart your computer, the VPN will also automatically reconnect so that you’re always surfing privately and securely. TunnelBear works on mobile phones and desktop, and users can secure up to five devices with one account. TunnelBear offers users a support center, or knowledge base, on its website. Users can browse or search its list of questions and answers for any quick fixes, or they can contact the support team directly. To contact TunnelBear, a user needs to be logged in, after which they can send an email with the details of their question. While this is not as fast or effective as chat or phone communicaton, the support team does seem to reply rather quickly. They are also available to respond to support issues on social media, especially on Twitter. While TunnelBear does offer high-level encryption, this does not compromise speed. When tested on a desktop and mobile phone for gaming, browsing, and streaming videos, there was no noticeable change in speed. When we used TunnelBear on public WiFi connections, we could see no significant change in speed before and after connecting. The company boasts 20+ country servers as well as an option to connect to the fastest and closest available server to enjoy the best online experience possible. Installing and using TunnelBear is fast and simple. 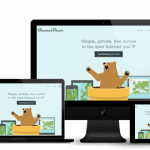 The design is true to the company name, with a variety of witty bear themes and references. As far as configuration and features go, everything is extremely simple and intuitive, with toggle buttons and clear designs that make this a great VPN for less tech-savvy users. The mobile app and the Chrome extension both follow the same theme and are simple, straightforward, and easy to understand and use. If anything is unclear or if any additional information is needed about a feature and how to use it, users can easily find that information on the company’s website. TunnelBear is a great VPN for anyone looking to secure their connection and access restricted content. It’s perfect for secure browsing, accessing content, and for users who just want a simple, fast, and easy to use VPN to protect their online activities. There are lots of great reasons to subscribe to our email list. You’ll be the first to read the latest news and freshest reviews, for a start. But we know what you really want: Exclusive Bonuses. And, fine, we have loads of those, too.